Highly concentrated, acid-based, after setting cleaner to remove cement residues and inorganic dirt. 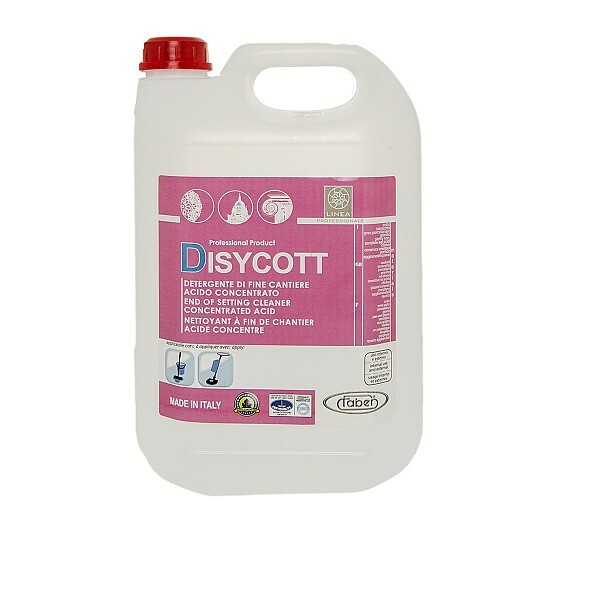 DISYCOTT is a highly concentrated, acid-based, end of installation cleaner to remove residues of cement, cement-based grout, dirt and inorganic residues such as salts, limescale and efflorescence. DISYCOTT has a formula containing inhibited acids and specific cleaning agents that has made it possible to replace the muriatic acid normally used to clean after installation. The result is significantly improved performance plus a drastic reduction in the chemical risks from using particularly aggressive acids. DISYCOTT is fast acting and will not develop fumes; it is also quick and easy to apply and will not damage the appearance of the material or grout.